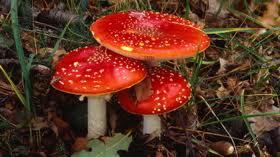 Next week at the RBE Library, our 5th graders are going to be coming to the library to learn all about fungi. There will be some fungus among us! See the full lesson here. There are 4 stations that the students will be visiting. As they independently go from station to station, they will be taking CLOZE notes on their Fungi Discovery Stations Packet. What do fungi need to survive? Why are fungi important to the food web? What is the most interesting thing you discovered or learned? Students, after you have written your conclusion statements, you will submit them online to Mr. Waldrip and Mr. Boles. CLICK HERE to submit your conclusions!